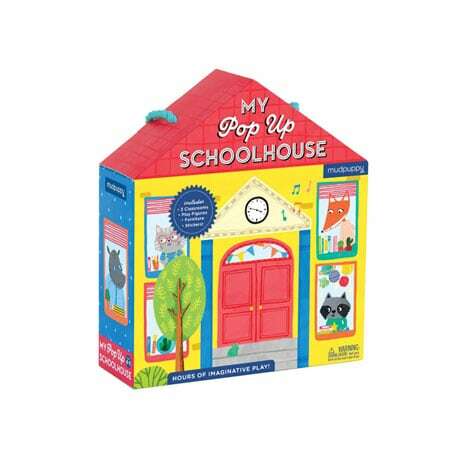 Little ones can take their imagination on the road with our adorable My Pop-Up Schoolhouse. 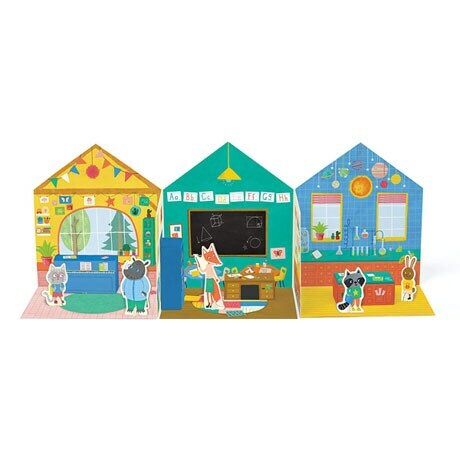 This bright 10"x11.5"x3.25" opens up to create a school panorama with a music room, classroom, and science lab, and contains five figures, four furniture pieces, and more than twenty-five stickers for endless fun! When playtime is over, the set folds back up and includes a convenient handle for easy transport to a play date, the park, or grandma's house. What fun! Ages 4 and up.